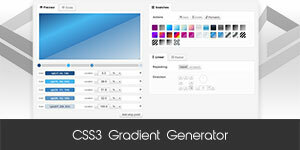 This plugin is based on jQuery Color Picker Sliders, which doesn't need Bootstrap to work. This popovers shows all the features in a grouped manner, so the user can choose the preferred color picking method. This example shows the CIE Lch sliders which is designed to approximate human vision. It means that yellow and blue with the same CIE lightness are identical to humans (which is not the case with HSL where blue seems to be much darker than yellow with the same HSL lightness). CIE Lch is a special color model where not all colors are reproducible in the physical world, so this plugin just lowers the chroma of these colors to be convertible to RGB. You can read more about it on Wikipedia. invalidcolorsopacity hiddens the colors from the CIE sliders whose can not be converted to RGB without lowering their chroma values. It is good for creating color schemas. size 'sm': Small sized popover. placement Popover placement direction. Can be 'auto' | 'top' | 'left' | 'bottom' | 'right'. When 'auto' is specified, it will dynamically reorient the popover. For example, if placement is 'auto left', the tooltip will display to the left when possible, otherwise it will display right. 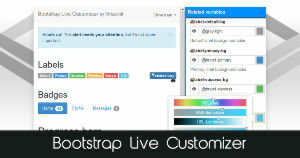 hsvpanel false: Enable/disable HSV color selector panel. sliders true: Enable/disable the sliders. grouping true: Enable/disable grouping of the HSV panel, Sliders and Swatches section. trigger 'focus': The popover will be visible on focus or on click. 'manual': No auto trigger of popover on focus/click. Must trigger colorpickersliders.show and colorpickersliders.hide events to show/hide the popover. colorpickersliders.show function(): Shows the popover. colorpickersliders.hide function(): Hiddens the popover.